Lately, people have been asking me what my favorite gear/clothing to run in is so I decided it was time to just lay it all out there. But first, I would first like to let you know that I am writing this post from an airplane. This is the first time I have ever splurged and purchased in-flight wi-fi, I’m livin’ large my friends. However, WHY doesn’t Netflix or Hulu work up here?! Come on world, this is 2013. Just kidding, I’m still trying to figure out what kind of router these guys have and how I can walk out of here with the thing. I have trouble getting the Internet at my house to work between a flight of stairs. I also just tried to download a movie from iTunes so I had something to occupy my time, but I’m currently sitting at an estimated 104 hour download time, so I guess I’ll be enjoying that flick on my flight back home. Did anyone go see The Incredible Burt Wonderstone? It better be worth my $4.99 and 104 hours. Okay, back to the reason for my post! When I first started writing this blog, I was set in my ways with my New Balance shoes and no one was going to change my mind. Well, recently in the midst of all of this knee nonsense, I decided it was time to try to a new brand of running shoe. I think anyone who runs can relate to the stress of such a task. The wrong shoe can literally put you on the couch for weeks if you aren’t careful, but the right shoe can change the way you run all together. After lots (and lots and lots) of shoe review reading and asking any and all runners I know, I decided on Mizuno’s. 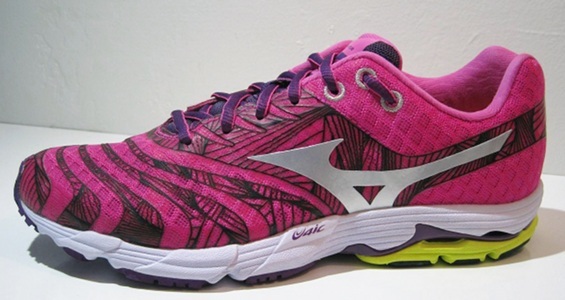 My first choice was the Mizuno Wave Rider 16s. They seemed to have everything I would need in a shoe, especially the cushion and heel support. After a little more digging, I realized they had a 12″ heel to toe drop which is something I am not used to and not a big fan of. I’ve done quite a bit of Minimus running. which as you know is a 0″ or 4″ drop. Even when I’m running in my regular shoes I’m sitting at about an 8″ drop. Moving up to a drop like that can be brutal on your body, so I decided to keep looking. I finally stumbled upon the Mizuno Wave Sayonara’s. I instantly fell in love. They only weigh about 7.2 ounces and have a 10″ heel to toe drop. If the reviews are all correct, they still offer that great cushion and heel support. Either way, they have officially been ordered and I will be sure to let you know how this goes! That’s it. I like to keep it simple and cheap! I purchased the watch and new iPod right before my first half and they have been life savers, seriously! I don’t know how I ever ran without them before. The iPod case was like $1 and it was quite possibly one of the better investments on that list. If you have a newer version of the Nano, I highly suggest looking into one of these bad boys. 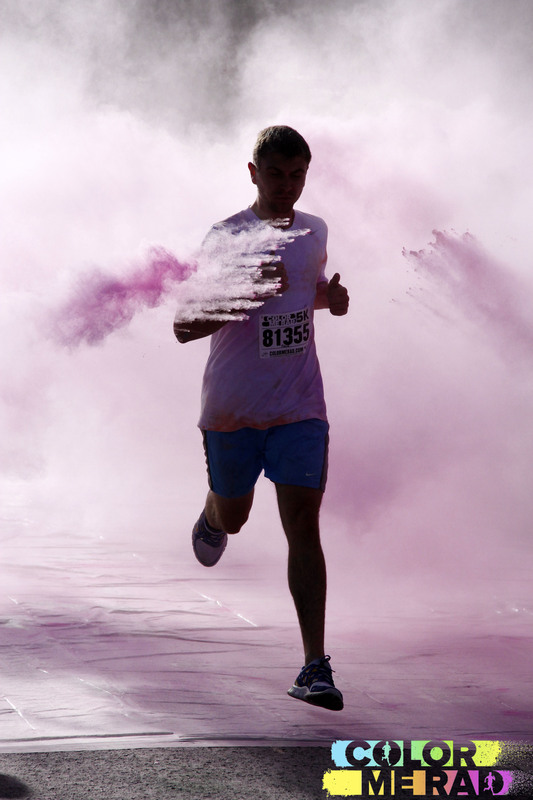 If you have any suggestions on some of your favorite running accessories I’d love to hear them! Oh good, just checked back in on my movie and we’re up to a 166 hour download time. Fantastic. 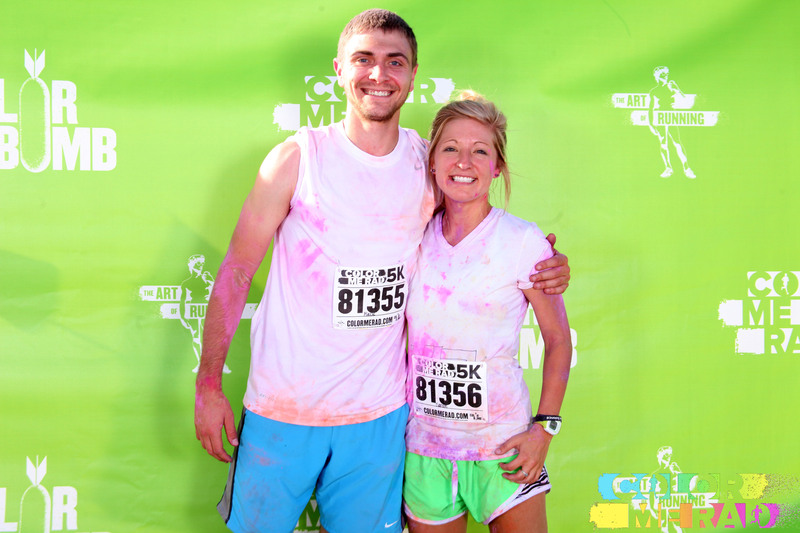 WHOA, I can’t believe I almost published this post without any mention of the Color Me Rad 5K from last weekend! I’m sad to report that Aleck did infact finish about 5 seconds before me. Probably no coincidence there on almost forgetting to mention it 😉 We finished right under 23 minutes which probably explains why we were so exhausted the rest of the weekend. It was a lot of fun though, totally worth it!